I was able to find some great piano notes sound files and used the DOM audio object to play a sound whenever a markSelection event fired on the dashboard, passing the relevant note to the function using Tableau JS API. I tried the piano chart on my laptop, and all was well! I then tried it on my iPhone, and alas, it looked good, but was silent.. As it turns out, iOS Safari has a different implementation of the audio object and much of the standard functionality supported on desktop browser is not available.. Getting the sound to play on my iPhone during a tableau marks selection event became quite an adventure, but I finally got it to work! Matt Harrison WebAudioAPI helped me through it. 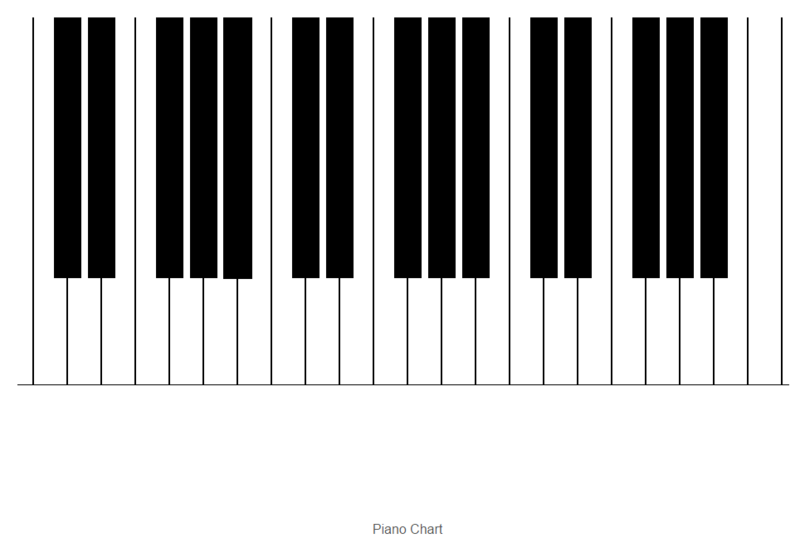 While not 100% perfect, it works well enough, and I can now enjoy a fully functional piano chart in Tableau on my computer and iPhone as well.. Enjoy! This entry was posted in Tableau and tagged tablea marksSelection, tableau, tableau js api, tableau piano chart. Bookmark the permalink.